Stuffing is a delicious side dish, whether served for the holidays or an everyday dinner. 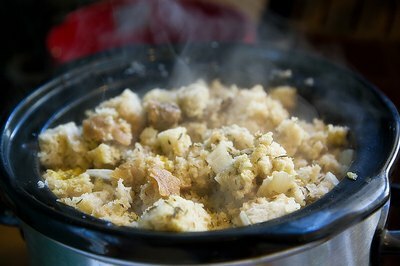 When you're short on cooking time, you can cook stuffing in the crock pot. 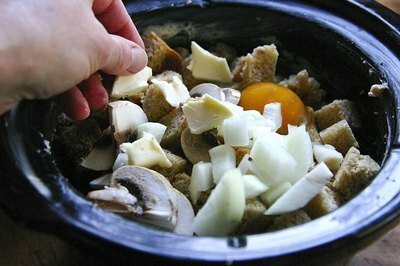 Crock pot cooking allows you the convenience of doing other activities as your food cooks. In addition to being a time-saver, crock pots contain their heat so a crock pot won't heat up the kitchen on a hot day. 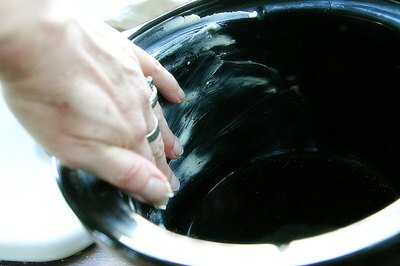 Grease the inside of the crock pot by rubbing a stick of margarine around the sides and bottom. Use just enough margarine to coat the sides and bottom of the crock pot so the stuffing doesn't stick and burn. Crumble pre-made cornbread into the crock pot. Use your fingers to crumble the bread into small bits. 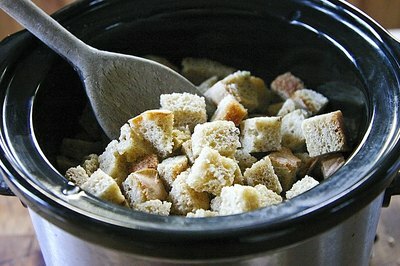 Cut the dried bread slices into half-inch cubes and add them to the crock pot. 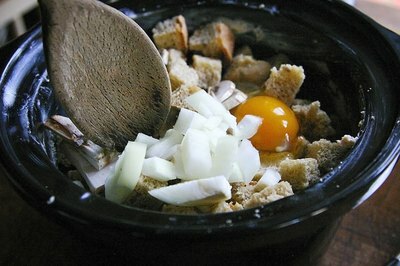 Crack 4 eggs and add them to the bread in the crock pot along with one chopped medium-sized onion and 1/2 cup chopped celery. Pour 1 tsp. poultry seasoning, 1/2 tsp. 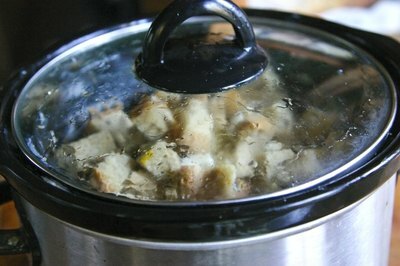 black pepper and 2 cans cream of chicken soup into the crock pot and stir the mixture well with a wooden spoon. Slice the butter into thin slices and place around the top of the stuffing mixture. Put the lid on the crock pot. Slow cook for two hours on high or three to four hours on low. This recipe serves 10 people. Leave bread out on the counter for a few days to dry or place in an oven, heated to 200 degrees Fahrenheit, and allow the bread to dry out in the oven for 30 minutes. Add one chopped apple to the stuffing or one can drained and chopped oysters. Remove the lid from the crock pot carefully so as to not be burned by steam.